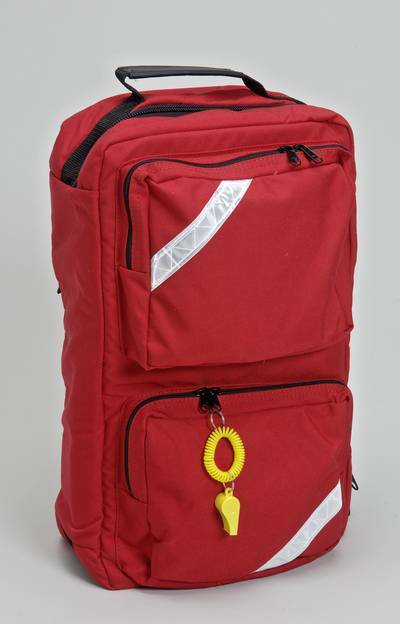 Fast convenient quick response first aid kit for people with basic CERT training. store in your home or car so you have close when it's needed. 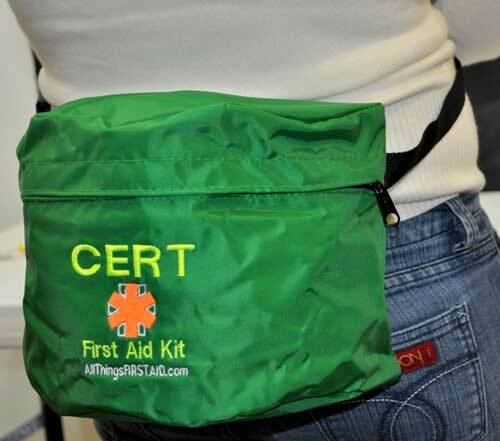 Supplies designed around the national Community Emergency Response Team standards for CERT Members. 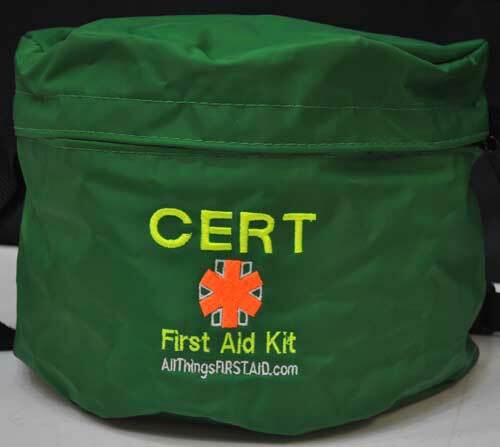 CERT Member First Aid Kit - Community Emergency Response Teams do more than go to meetings and drills. Your training helps you respond to actual first aid injuries in a disaster. Packed in a large, zippered water resistant fanny pack. 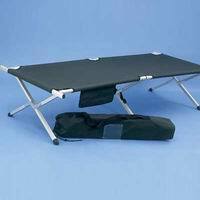 Each CERT Team Member responding to an actual incident needs a minimum of this level of kit to provide care for a victim or yourself. 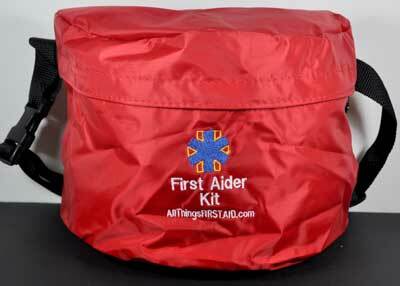 A good all-around kit for people with basic or advanced CERT first aid skills. Check out the supply list. 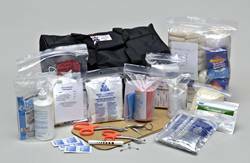 Features the right variety of medical grade supplies (and generous quantities) for those that realize that the free first aid packet that came in your backpack has almost nothing to help an injured person. 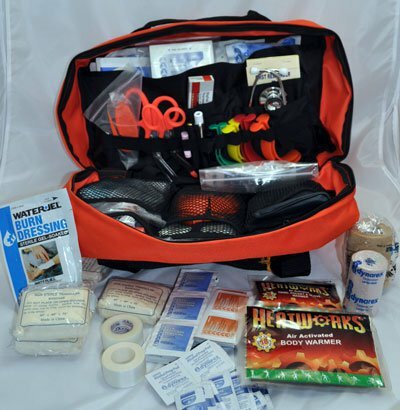 Our kit handles wound care, splinting, PPE and even Eye Care. Our rugged rain resistant fanny back is easy to take with you on assignment and with minor refills, will last for years. Note: Contents list subject to change without notice. Max length of belt 50"